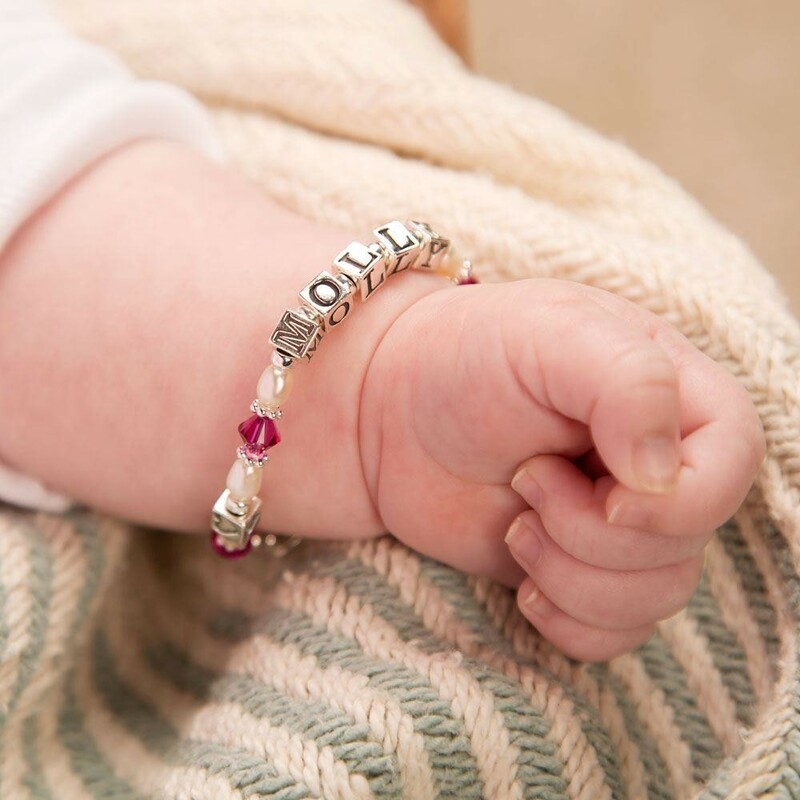 This personalised bracelet is the perfect gift for any little baby especially for a christening, baptism, naming day or another special occasion. It is custom made and will provide a lasting memento for years to come. Only the finest materials are used to create this beautiful bracelet including sterling silver letter, block symbols and heart clasp as well as fresh water pearls and purple swarovski crystals. Even the spacers between the beads are made from sterling silver and silver crimp covers have been used to provide a flawless finish. 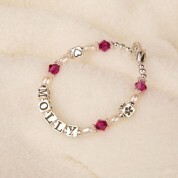 Our hand made bracelets are available in 0-12 months or 1-3 years so will be the perfect fit for any baby's wrist. It comes well presented in a jewellery box so it can be kept safe when not in use and can be kept in a keepsake box along with her other precious things.